Anthony Capasso of Milford recently won the Under 1900 rating event in a Westchester tournament, beating, among others, Fairfield club-mate Sam Medina in the Semi-final with 10 wins and only one loss in rating classified singles play. In the process, 16 year old Anthony raised his USATT National tournament rating to 1967, his highest standing since taking up the sport at the Fairfield TTC about 2 1/2 years ago. This rating places him as the highest rated active Youth competitor in our state , and among the top 10 to 12 active players of all ages in Connecticut. Congratulations to Anthony, his Coach Dave Strang, and his parents Sandy and Ron whose support has made his rapid progress in our sport possible. As we also do every year on Thanksgiving, this year we are changing our normal Thursday night play to the previous Tuesday - Dec 23rd, rather than Thursday December 25th, which is Christmas day. Our weekend play, on Saturday afternoons in Fairfield, and Sunday evenings in Bethany as listed at the homepage, will be unchanged before, during and after the December holidays - unless very severe weather occurs. Thursday play on the evening of New Years Day MIGHT be changed to the previous Tuesday as well - depending on weather, and player preferences communicated to me the previous weekend (after Christmas). If the website isn't updated again before 5pm on Monday December 29th,the decision will be announced at the Fairfield TTC phone info number by then. Or you can text my cellphone that afternoon asking if we will substitute Tuesday Dec 30th for Thursday January 5th. Please include your name and town if you text me. Play will return to normal days on and after January 3rd. Teenager Adam Sahar of Trumball, who came to us in Fairfield, and then Bethany, as an unrated, 13 year old Novice player, has made great progress in about two years with us. About a year ago, he reached a USATT rating of 1800+ with wins that included an upset of the near 1900 rated owner of the club that hosted the tournament. Recently, he reached another personal goal, with his first club match win over former Connecticut Champion, 2200 level Rich Dewitt. Congratulations to Adam and his supportive family for his rapid progress and accomplishments so far in our sport. A summer of regular local practice at the Fairfield and Bethany clubs payed off as 6 of our players took took honors, or reached the finals or semi-finals in multiple USATT rating based events in the most recent (August 23-24) tournament in NY, while others have new club wins in Fairfield and Bethany. Rich Dewitt took second in the U-2350 event with a semi-final win over Xing Chen Cui, before losing to event winner Adar Alguetti in the final, and Rich also reached the semi-final of U-2200, losing to Brian Gao . Anthony Cappasso and Glen Randmer reached the quarterfinals of the U-2000 event in spite of ratings well under the event cutoff. In the U-1900 event, Samuel Medina defeated Benjamin Zhang to win the event, and bested fellow Fairfielder Jeff Von Kohorn in the Semi-final. In the U-1750 event, Anthony Capasso reached the semifinals and Austin Greenfield reached the quarter finals. Daniel Yan. Sam also reached the semifinals of the rating based handicap event. In club play, a number of other players are also showing improvement, with club match wins over higher rated clubmates. Douglas Silva has 4 wins in his last six local matches with 2200 level Rich Dewitt in Fairfield, and Anthony Cappasso had his first upset match win over his coach, 2070 rated Dave Strang recently in Bethany. Rob Withers and Chris Rydzic are also playing 2000 and 2100+ level in recent club play, though Rob isn't a tournament player, and Chris hasn't played a tournament this year. As the saying goes 'a rising tide lifts all boats' and the quality of practice and match play among our players in Fairfield and Bethany is resulting in most players improving their skills and strategy, with our rivals from larger clubs in New York and New Jersey seeing the results in their own local events. Lifelong Fairfield resident, Rich Dewitt had an upset win in the recent US Open in Grand Rapids Michigan that gained him congratulations from US Team Coach and former US Mens Champion Dan Seemiller among others. Rich, 1998 Connecticut Men's Singles Champion, and along with fellow Fairfielders, Don Feltenberger, Michael Lazerev and Cotter Micheals, one of the original players when the Fairfield Table Tennis Club began in 1995, had 7 wins and 5 losses in the 630 player international field. But his win over USATT 2415 rated Niraj Oak of Houston was not only a significant upset based on Rich's 2189 rating going into the tournament, but also Niraj's only loss to a player under 2685 in the tournament. Typically. the odds of an upset diminish greatly when there are hundreds of USATT rating points difference in the computer based USATT match based player rating system, with odds exceeding 10 to 1 against this upset. With his unique, extremely steady backhand and close to the table defensive style, Rich has often played the spoiler with upset wins over US and foreign trained players in major tournaments, including a 22 win 2 loss career best performance at the 2006 US Open Teams where a series of them temporarily boosted him to a 2445 rating placing him in the top 50 among all active US players at the time. Why did former 1980's era US champion and World ranked #19 Dan Seemiller notice this result, if Rich has a reputation for upsets? Because Dan, who while now a full-time coach, like Rich now a 'veteran' player, also still competes, especially in the many Senior age category events included in events like the US Open, and the US National ('closed') Championships, and had lost to surprise 2010 US Team Member Naraj last December in the US National Championships, as Niraj won the US Over 40 Men's Single crown. Unlike other upsets, where Rich's methodically steady low spin game often surprises, and sometimes wears down, more aggresive Top-spinning players, this time Naraj was outlasted by a player who, like him had a defensive playing style. Maybe Naraj hadn't heard that Rich and childhood friend Richard Bowling had been listed in the Guiness World Records for a witnessed ralleye lasting over 10 hours without a single missed shot ?! Fairfield Gym gets 'new' floor. After enjoying the new lighting, upgraded at the Bethany Town Hall Gym in January, CT Table Tennis Association players have recently been treated to another upgrade, this time in July at our Fairfield Senior Center playing site. 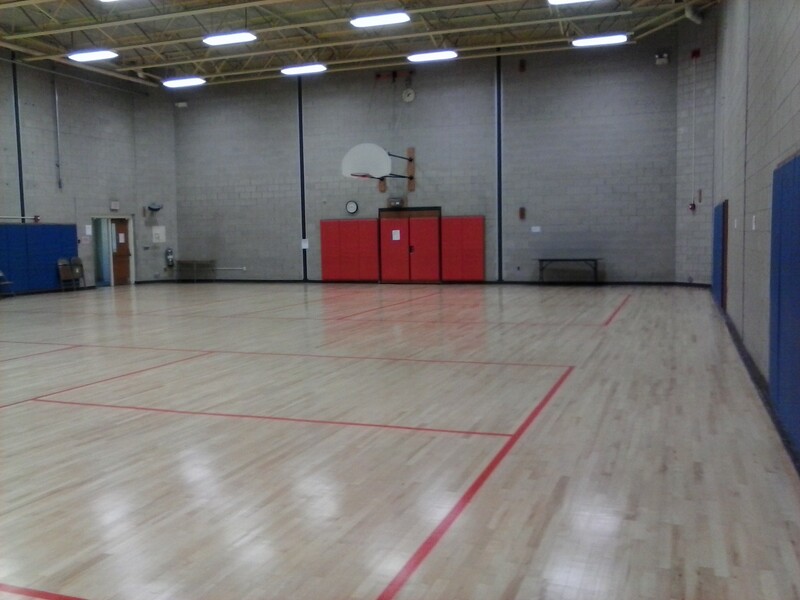 While the process, sanding down the Center's wood floor, and refinishing and resealing it, was extended from the expected week to two, to assure the new surface coatings dried completely before any use, causing the loss of 4 playing dates, the local players were general quite impressed with the improvement. Depending on their shoe selection and playing style, some players noticed improved traction, while everyone appreciated the aesthetic improvement, with most of the many court lines for sports now not played in the former school gym removed, along with enhanced playing space for our sport, as 3 wheel bicycles and other seldom used equipment was also discarded or relocated in the process, improving the playing space for tables 4-8 in the gym. In spite of competing with the 'big game' and many home parties to see the halftime entertainment and newest commercials , Bethany TT began it's 2nd year with 9 players, from unrated to 2100 level, and from 14 to 58 years old on February 2nd. Those present were the first to enjoy the improved playing conditions in the newly remodeled Bethany Town Hall Gym after the work stretched from late December until early February. Was it worth the wait ? Well, one tournament experienced player declared the new lighting as the best in the NY-NJ-CT tri-state area, while playing courts also averaged 40 by 15 feet with an excellent floor. The Gym has room for 6 tables with 2 additional tables possible for practice or robot use nearby. Our last session for 2013 at the Bethany Town Hall Gym is scheduled for Sunday evening December 15th. Contractors are scheduled to replace the Gym ceiling in Bethany and, more importantly for us, install new light fixtures, which should make our lighting brighter and more uniform, and eliminate the need for the supplemental portable lights we've used until now to improve lighting in the far end of the gym. We've also added an additional table in the nearby gameroom this fall, bringing us up to 7 available tables when needed, nearly matching the 8 tables available at Fairfield. Thanks again to the Bethany and Fairfield Recreation Departments, and the Fairfield Senior Center, for providing excellent facilities and partnering with us in providing, upgrading facilities and promoting year-round weekly play in safe spacious and well lit facilities, and for the many players who support our lifetime sport. As in previous years, our Thanksgiving Week schedule features a switch in our mid-week Fairfield Schedule from Thursday night play to the previous Tuesday evening. Saturday afternoon play in Fairfield continues as normally scheduled on Thanksgiving weekend. The decision regarding Bethany play on the Sunday AFTER Thanksgiving will probably be finalized and announced during the previous Sunday session based on turnout that Sunday, and player interest expressed then, and IF cancelled, will be announced on the Bethany Club information message line recording by the following week, by Sunday afternoon at the latest..
As with possible winter severe storm cancellations, depending on when the decision is finalized, it might NOT be announced on the website or by e-mail. This is the reason the recorded message phone numbers supplement the website's information. With these holidays falling on Tuesdays and Wednesdays, play in both Fairfield and Bethany should not be affected this year. While cancellations don't normally occur due to typical winter snow storms, Blizzard conditions or freezing rain storms can be the exception, including heavy snow occuring on the weekend or after rush hour when highway plowing may be delayed. Decisions in those cases are often delayed to be sure any Weather report storm predictions are confirmed by actual weather and road conditons in or near southern or central Connecticut. E-mails or website changes due to weather often can't be made in a timely manner, so please use the appropriate message phone lines for Fairfield or Bethany before leaving for a scheduled session if weather conditions seem questionable, and use your own judgement, even if the club IS open, based on weather and road conditions in your own town and neighborhood. Please call from your cell phone if possible, so I can call you back after you've heard the message, should a later change occur, whether cancelling a session if conditions worsen, or restoring it if an expected storm doesn't hit the area with enough force to require a cancellation. It would be helpful too, if you are a regular player, AND/OR drive a distance to play, to provide me with your full name and town via an instant message or voicemail from your cell number in case I need to contact you due to an unexpected cancellation due to issues such as localized Power failures or other facility issues that may not make the news in your area of the state. 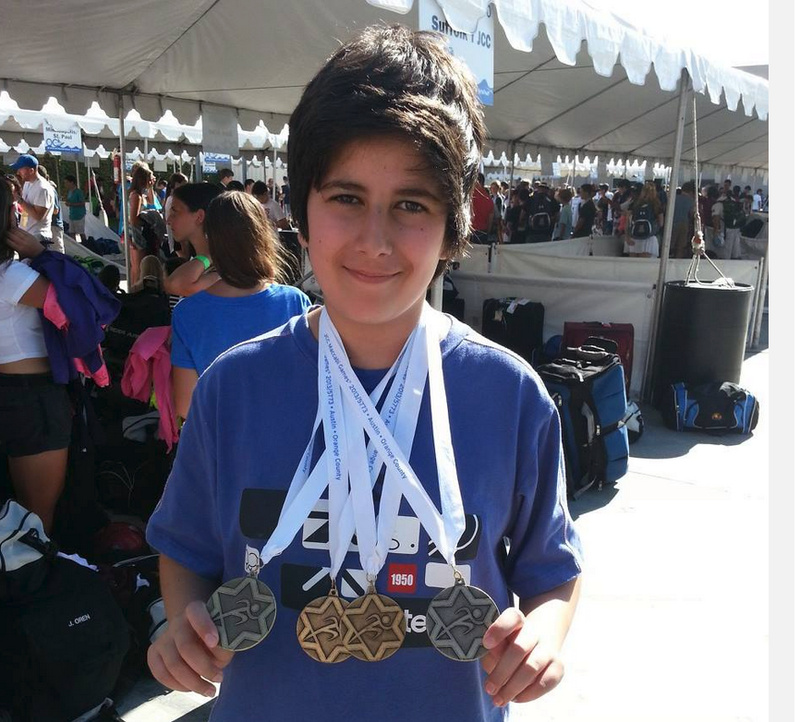 (UPDATED JULY 30) CT TTA's most recent youth TT student, 14 year old Adam Sahar, has made great progress in less than a year and a half as a regular player at Fairfield and Bethany TTCs, reaching the U-1900 finals at a recent large NY tournament and earning a 1722 rating in the process. Local club players aren't surprised, since Adam has also scored club match wins over a number of our 1900 and 2000+ level players in recent weeks, including a first ever duece in the 7th win over his Coach, 2070 rated Dave Strang in late June 2013. And long time 2100+ level player Adis Medunjanin broke through the 2200 barrier for the first time, and earned the 3rd highest rating among active CT. players with a recent NJ tournament result including a win over a 2300+ player, boosting Adis to a career best 2213 rating. Congratulations to all our improving local players. Bethany Parks and Recreation Department, and Coach Dave Strang's NETTA/ CT. Table Tennis Association have joined together to establish the New Haven/Waterbury Table Tennis Club at Bethany to provide weekly recreational and competitive play and instruction for players of all ages and skill levels. than strength, height or age. free pointers, followed by open club play and mini-tournaments where players will be matched with players of similar experience and skill. Open club Play will continue on Sundays, with additional open play, leagues or clinics on a weekday evening possible later in 2013 - based on participant interest. Table Tennis Robot available for special practice or instruction. Players may bring their own Rackets or borrow or buy them at the club meetings. including the special Jan 27th club kick-off event, without charge. Meriden/ Middletown 19 / 25 miles - via 691 exit 3 rte 10 s - rte 42 west to 63 south OR take rte 691/84w to rte.8 south then 63 south - this is 10 miles longer but simpler & takes the same time -also about a 30 to 40 minute trip. A modified Playing fee structure will start in mid-January for play at Fairfield and the new New Haven/Waterbury TTC at Bethany. Fairfield Club fees were originally established at $5 per visit in 1995 when that was a common Movie admission price, and of course, most other prices for necessities, or entertainment, were MUCH lower than they are today. But regular players are encouraged to save time and money by pre-paying with options like 3 visits for $25, reducing the cost to slightly over $8 per session. Other options are being considered as well, such as weekly or monthy payment options, which might reduce the the cost (somewhat) more for players who regularly play on consequetive club days the same week, or who consistantly play every week on the same day. or arrangements for family or short duration play, particularly for new, unrated players. Participation levels, player ages and incomes and initial participation levels at the new club location in Bethany will help determine the possible variety of pre-payment discount options that might be offered either to everyone, or on a case-by-case basis, at Club director Strang's discretion. But the '3 for $25' is recommended for most players at this time, though players are also welcome to 'pay as they go' at $10 per visit, hopefully with correct change as often as you can remember to bring it.